This is a selected pure green form with black short appressed spines. Description: Rebutia canigueralii subs. rauschii f. viridermis|SN|19115]], better known as Sulcorebutia rauschii cv. 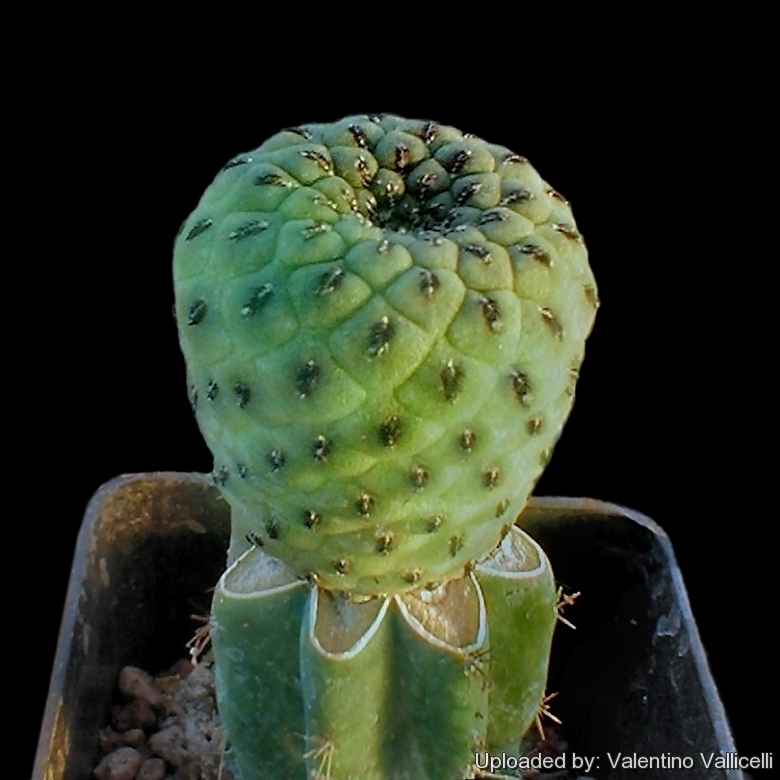 Green Form, is a morphological form of the variable Rebutia canigueralii subs. rauschii distinguished for the pure green body (not purple-violet). This cactus is indeed beautiful even without its blooms. Habit: Miniature clustering species (rarely solitary), readily forms clumps of many heads. Stem: Individual stems 2(4) cm tall, 3(5) cm in diameter. The stem is covered by flat tubercles (5 mm wide) which vary in colour between pale to dark green. In older plants tubercles are arranged in up to 16 spiral line merging in the apex. Spines: 9-11 short black radial spines, 1 to 2 mm long, pointing diagonally and downward, completely flattened against the tubercles, they take the characteristic form of a fish-bone.